Toy Tokyo has announced a couple of their New York Comic Con 2014 exclusives, which will include the Funko x Super7 8-Bit Edition Freddy Krueger and Jason Voorhees ReAction Figures. 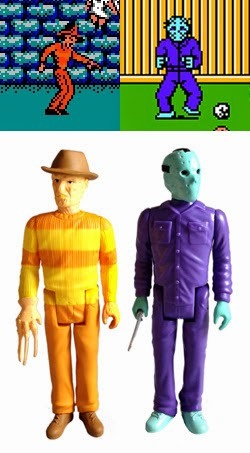 The two Funko x Super7 color variants are based on their appearances from their 1989 NES console games. They will be sold exclusively at the Toy Tokyo booth during New York Comic Con. Stay tuned as we will get more information on price and edition size and more Toy Tokyo exclusives for NYCC.